Customer Rewards, Reviews and Deals. 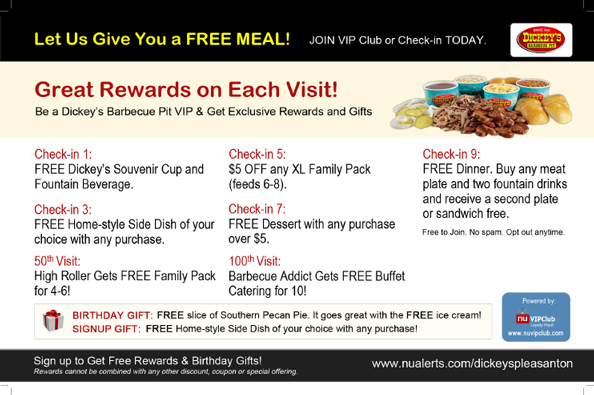 Instantly setup your Rewards or Birthday Club by entering Birthday or Loyalty Rewards! 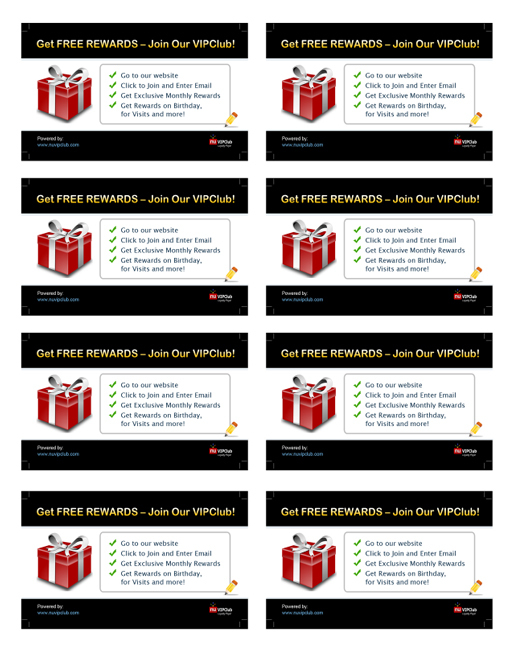 View Features Email everyone, put out collateral, add Rewards sign-up link to your website & social media. 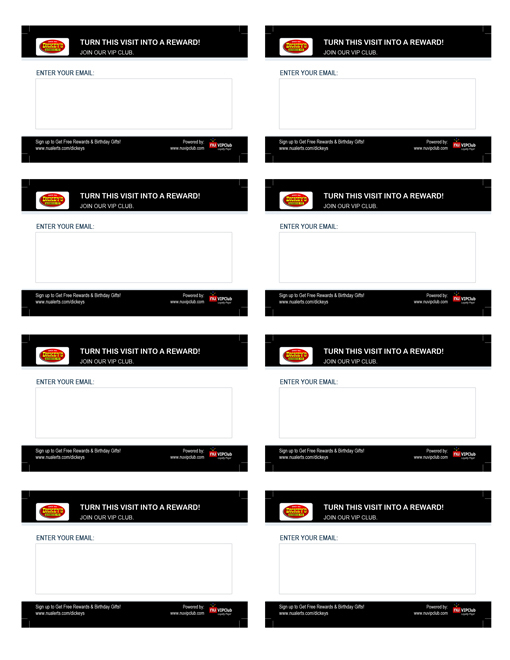 Automatically sign up customers, send Rewards, track visits, get feedback and build customer list! 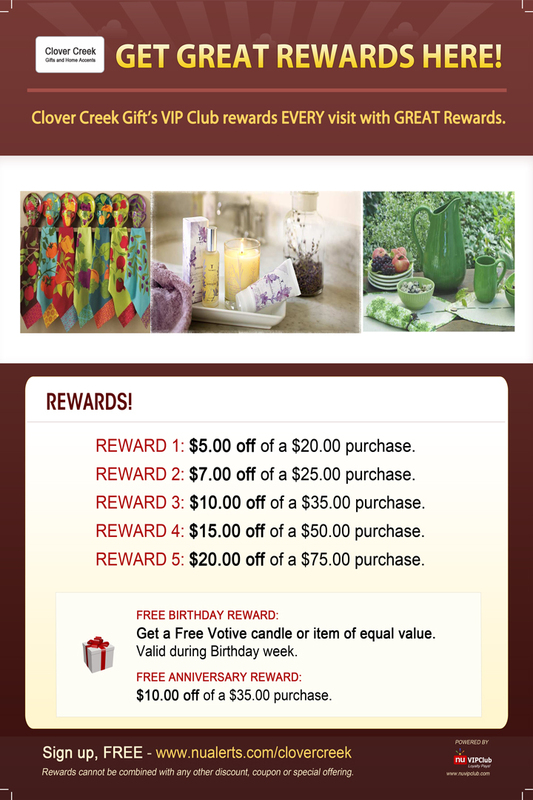 Standard Poster - 8.5" x 11"
Small Poster - 11.5" x 17.5"
Soon customers will arrive with printed copy or mobile version of the reward earned or Birthday Reward. 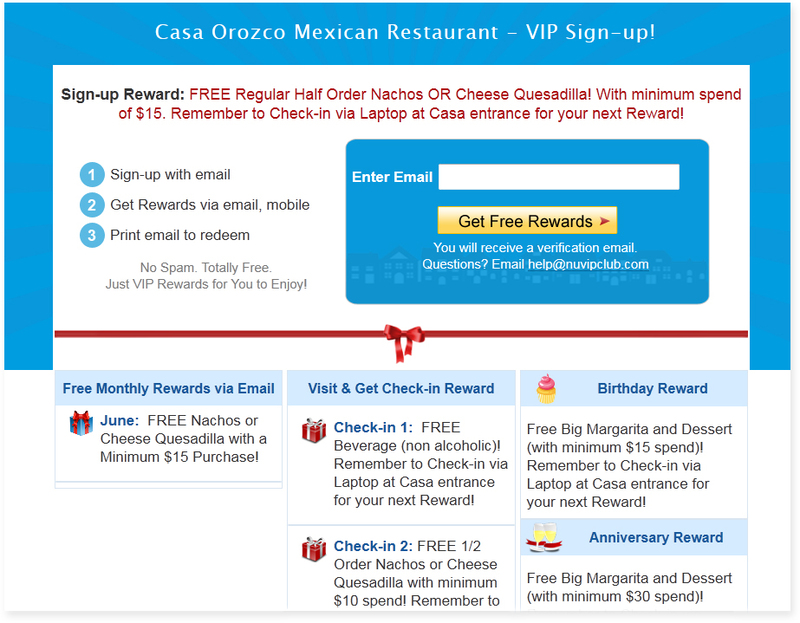 Simply enter their email in Check-in screen to send new Reward! A simple yet effective way to bring them back!